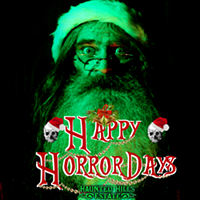 This Holiday season, you're in for a FRIGHT before Christmas! Santa Claus has come to Western PA... and he's not happy. 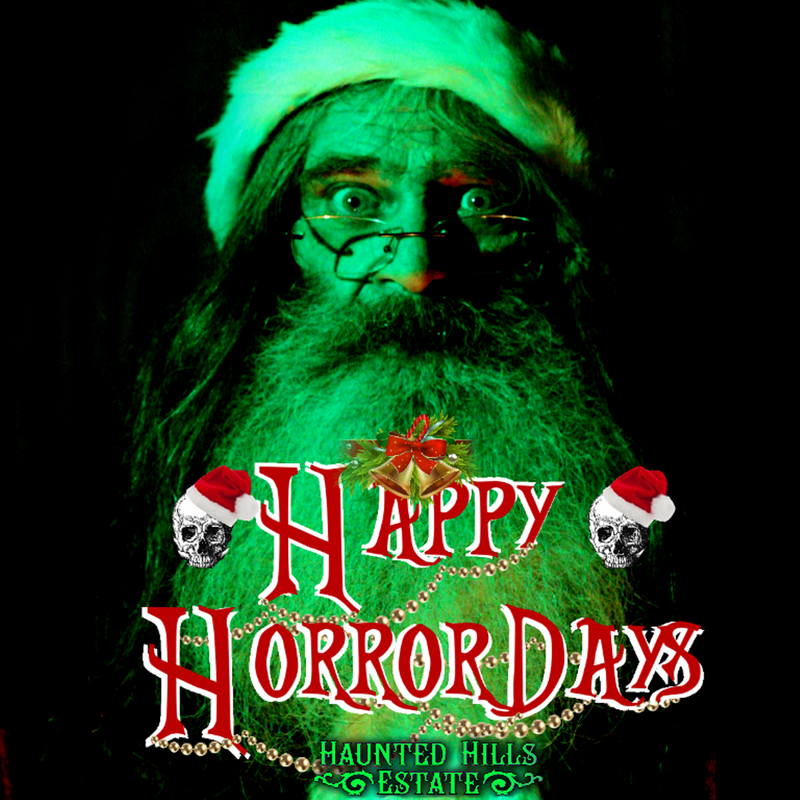 Haunted Hills Estate in Uniontown, Pennsylvania, rated the #2 Haunted Attraction in the state of Pennsylvania, is excited to present Happy HorrorDays for two weekends only: December 14th and 15th from 7-10pm, and December 21st and 22nd from 7-10pm. Try to survive 2 floors of our terrifying Holiday Horrors! Escape the Dangerous Elves, a Krampus, Dark Christmas Creatures, and of course, a run in with the man (soaked) in red himself.